We are asking a lot of you to just trust us when we offer our recommendations on drones. Allow us to briefly talk about what we’re doing here today. Not just today, actually, we employ the same techniques and philosophy for all of our content on the site. We want you to get the most out of your flying experience, which includes safety, value for your dollar and accurately identifying the capabilities of each drone. Hey guys, this is Jonathan Feist. As a little history, I have been an enthusiast of flight for many years. My youthful enthusiasm matured into something real when I began studying government issued Aviation Training material in 2007, eager to get my private pilot’s license, or better yet, to become a helicopter pilot. 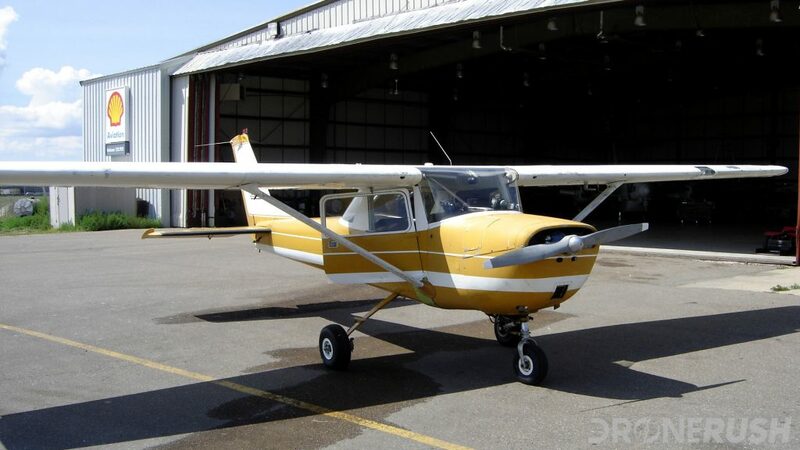 I flew my first real life airplane in 2009, the little Cessna you see above. (Thank you again, Ethan!) Sadly, that was also my last time at the helm of a passenger aircraft, for now. Truth is, I have poor eyesight. Not bad enough to prevent me from flying, but bad enough that there were hurdles to overcome. I then went to college for computer sciences and forgot about flight for a while. Sort of. My programming class final project was a flight simulator. Nothing to speak of, but that passion for aviation was not lost. What comes next for an aviation enthusiast not currently destined for a real pilot’s license? UAV, of course. RC airplanes, RC helicopters and now, the amazing machines that we affectionately call drones. I respect anything that can fly, but I believe that a flight is not successful if it ends in anything other than a smooth landing. I will not apologize for being picky. I know that many of the drones we cover on the site are mere toys, regardless their price, but I still believe that if they are in any way dangerous or otherwise incapable of stable flight, they do not deserve to fly. If they do not deserve to fly, they do not belong on this site. At least this is my desired approach. If I do not yet have your trust, given time, I believe I can earn it. Enough about me, what you really want to know is how we choose all these drones for all these lists. We will get more scientific about this as we go, but at least let me explain what we look for in a drone. It all begins with research. Just like you are doing now, we look through as many reports, lists and reviews as we can find on each drone we consider for a best list. Experience plays a large part at this point, while we may not have put hands on each and every drone listed, we have, at the very least, handled another drone from the manufacturer. In the case of DJI, for example, we’ve put fingerprints on each and every drone with the exception of their agricultural sprayer. Update May 2018: We’ve now put hands on the agricultural sprayer. It may not be apparent for each and every drone, but we will never tell you that we’ve handled something if we haven’t, and we generally have plenty to say, additional content, on the machines we have flown. With research and an idea of a manufacturer’s quality in hand, we seek to put hands on each drone. This is not always possible, but we try. If we can fly a machine, we greatly allow our opinion of the flying experience to influence our ranking of the machine. 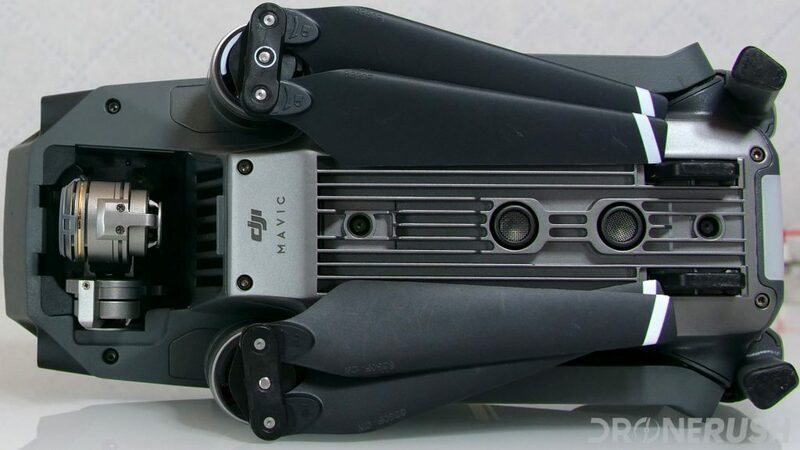 For instance, despite being somewhat similar on the spec sheet in terms of controls, I will take the DJI Mavic Pro over the DJI Spark any day of the week. Not to belittle the Spark, it is a great machine, I just have had a much better and easier time flying the Mavic Pro. 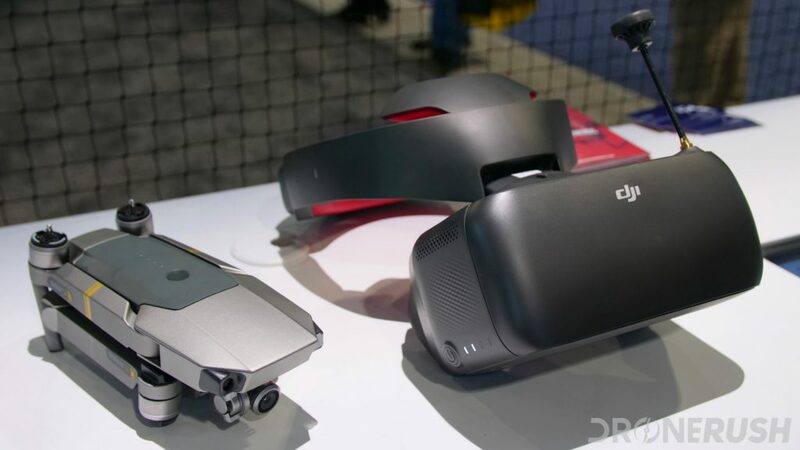 If for no other reason, Ocusync with the DJI Goggles. Of course, the DJI Mavic Air is now on the scene, it’s a possible new favorite. We put opinion away briefly when we look at the capabilities of a drone, and at the price tag. 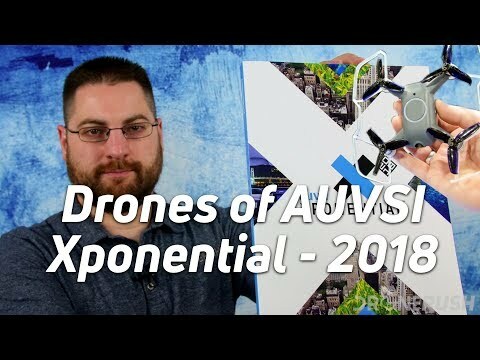 It is usually pretty easy to weed out the good from the bad, a thousand dollar drone best have high-quality 4K video recording, have autonomous flight modes and fly smooth enough to capture great video. A $500 drone can compromise on the camera and some autonomous flight modes, but it better still hover smoothly. For under $100, I do not expect a camera at all, maybe a little 2MP non-FPV streaming camera, but anything in this price range that claims ‘HD video’ or to ‘capture great photos’ has got to prove itself before I believe it. Once we ascertain a general value for a drone, we basically just compare it to its neighbors. This can be unfair with the behemoth DJI dominating most segments of the market, but that’s just the way it is. We’re excited for other manufacturers to step in to compete heavily with DJI, we love innovation born of competition. For now, we are un-apologetically fans of DJI and have their drones at the top of many lists. Please respect that this is because we truly believe that each of these drones has earned its spot. 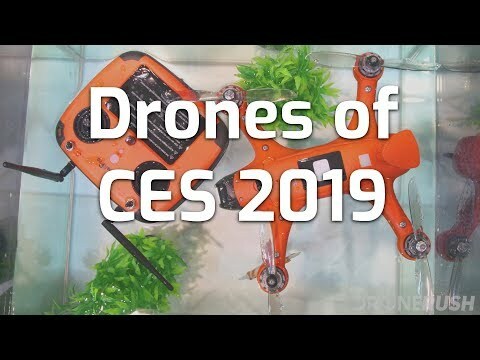 Players we are keeping a close eye on include Yuneec, Uvify and Autel Robotics, while Hubsan, GDU, Syma, Parrot and many more have our attention as well. At this time, we are actively keeping up on approximately 38 drones from 32 manufacturers that are still in production, and still recommend another 7 machines that are out of production, but still available for sale. This makes up our short list of drones that we promote across the site in many different categories. There are many machines that did not make the short list, we may never talk about them more than once. Be sure to keep tabs on our slowly growing Drone Manufacturers list for a more thorough look through the options that are out there, then compare to our best lists to see which we think are worth your money. Buying or borrowing? There is a thing that happens when folks like us receive review units from manufacturers, the general conclusion is that we will unfairly favor these drones as a thank you for the loaner. Yes, they are loaners, we don’t get to keep review units. The funny thing is, we’ve purchased more drones than we’ve had lent to us, and the ones that have been loaners we’ve found reason to exclude from many of our top lists. Again, we may have to earn your trust, but I tell you now, our loyalty is to you, if a machine is not great we will say so. If you are a manufacturer with a drone to share with us, make sure it’s good and safe. We are reasonable about our expectations, we are patient, but we will be blunt and can be cruel if you lie about capabilities or if your machine outright fails. Mostly, if there is a safety concern with your craft, don’t expect much air time from us. Trade shows are the true value in our experiences with the drones you’ll see in our lists. These are opportunities for us to meet the people behind a brand, and an opportunity to see many drones together in the same place. We may produce little content from a trade show, but I assure you that the meetings will influence each list we produce from then on. 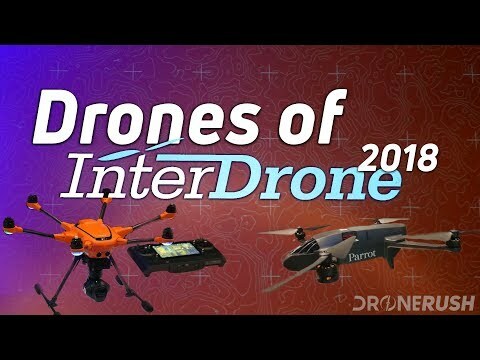 A final note, you will see links to purchase each of the drones we present in any of our lists. We do make a small commission off of these links if you purchase, at no cost to you. These are generally going to be links to Amazon and to the best priced buying option that we can find. We respect your dollar. Please respect that we keep the site alive with these commissions. We do not want to put advertisements on the site, but we’ll keep them as minimal as we can. Your conscious effort to trust us is what keeps us going, and for that we thank you!